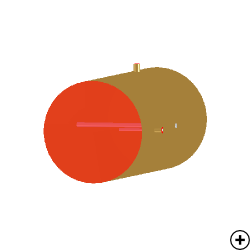 Image of the Dual coax to circular waveguide transition . The dual coax to circular waveguide transition consists of two orthogonal coaxial connectors mounted on a circular waveguide. 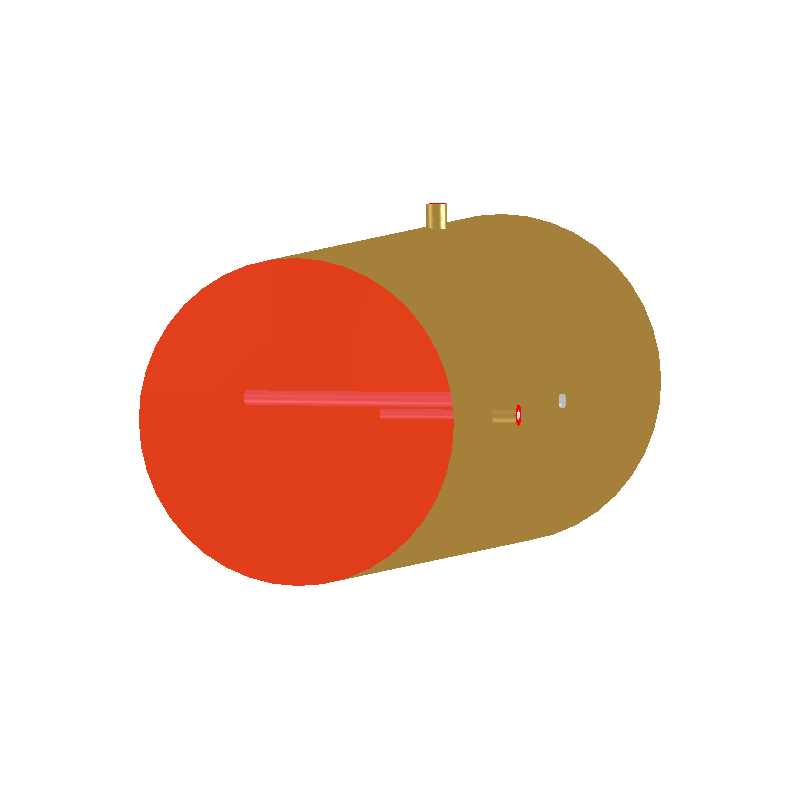 A shorting post, parallel to the front coaxial feed pin, is situated between the two coaxial feeds. The two orthogonal coaxial feeds have the advantage of being able to extract the vertical and horizontal components of the input signal. Both coaxial inputs convert the coaxial TEM mode to the fundamental TE11 circular waveguide mode which travels along the guide to the open end. The distance between the back coaxial cable and the waveguide backshort is used to control the real impedance of this cable. The impedance of the front coaxial cable is controlled in a similar fashion to the back, just with the waveguide backshort replaced with a shorting post. 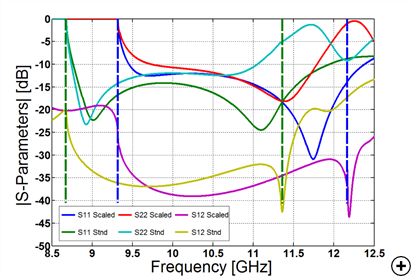 The cutoff frequency ratio between the TE11 and the TM01 is approximately 1.3:1, limiting the bandwidth of this transition to an absolute maximum of 26%. 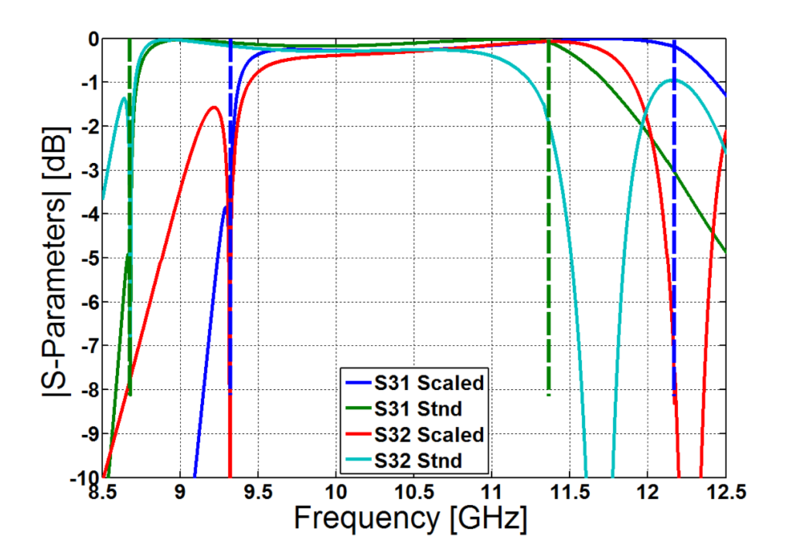 Antenna Magus allows the design of a standard (Stnd) or a frequency scaled (Scaled) circular waveguide. 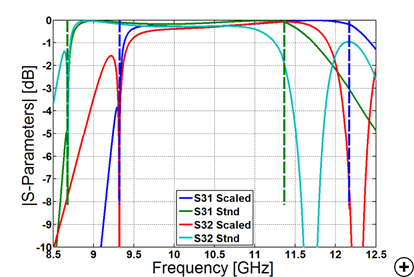 The graphs below shows the difference in performance when the centre frequency is 10.75 GHz, input impedances are 50 Ohm, and the two waveguide design options are selected. 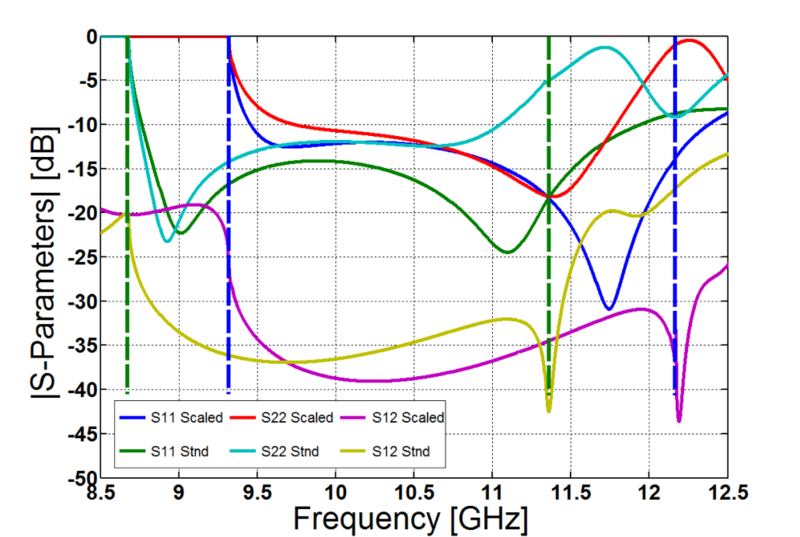 The TE11 and TM01 cutoff frequencies are indicated by the blue (Scaled) and green (Stnd) dashed lines. Port 1 is the coax closest to the back wall, Port 2 is the coax closest to the waveguide opening and parallel to the shorting post, and Port 3 is the port at the open end of the waveguide.